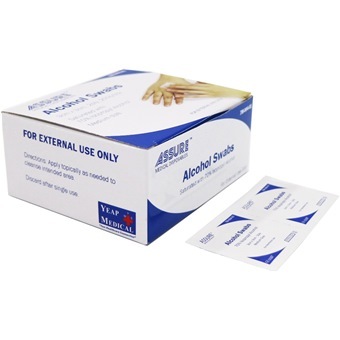 ASSURE ALCOHOL SWAB STERILE 3CMX3CM,2PLY 200'S/BOX is rated 4.3 out of 5 by 3. 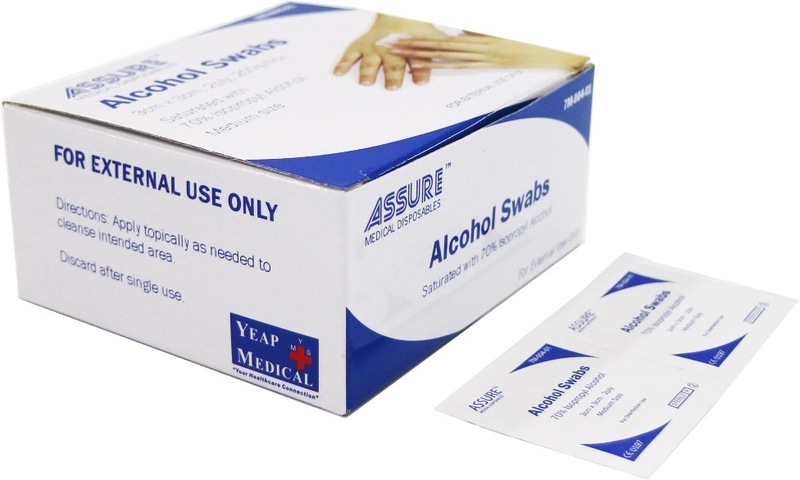 A 2-ply Alcohol Swab saturated with 70% Isopropyl Alcohol. Perfect for simple cleaning of skin surface before lancing or injections. Sterility guaranteed unless package is damaged or open. Rated 5 out of 5 by Jack Of All Trades from Great product Satisfied with purchase. Will buy again when necessary. Rated 4 out of 5 by all_repair from Use for cleaning of parts and small area The pre-wet and small swab, ready to use, and no need to bother with bottling and cotton make this swab a very easy way to clean small parts and area. I use this to clean up on battery compartment leakage, keyboard and mouse. Extremely easy, also mean productive gain.